Following the passing of Supreme Court Associate Justice Antonin Scalia in mid-February, President Obama vowed to put forth a nomination for the high court's newest justice while he was still in office. Despite calls from Republican members of Congress to block anyone nominated by Obama, the president followed through on Thursday morning with the announcement that he would be recommending chief judge of Washington D.C.'s Court of Appeals Merrick Garland for the position. And while Americans are probably not as perturbed by the selection of Garland as the GOP gang on Capitol Hill was by the fact that a nomination happened, citizens are entitled to their concerns about anyone taking on as powerful a role as Supreme Court justice. Here are some reasons why women shouldn't be thrilled by Merrick Garland's SCOTUS nomination, even though the veteran judge is entirely deserving of the honor. It's important to note that when justices make it to the Supreme Court, the position can encourage a bit of personal transformation. Former Justice John Paul Stevens became an "unexpected liberal," as CNN's Jeffrey Toobin said, over his years on the bench. So there won't be any serious passing of judgment on the nominee just yet, as there's no way to know how Garland would vote should he be approved by Congress. Garland has handled a lot of topics in his career as a judge and attorney, but there's little in his judicial record that gives even a hint as to his views on reproductive rights. That leads you to the following rationale. 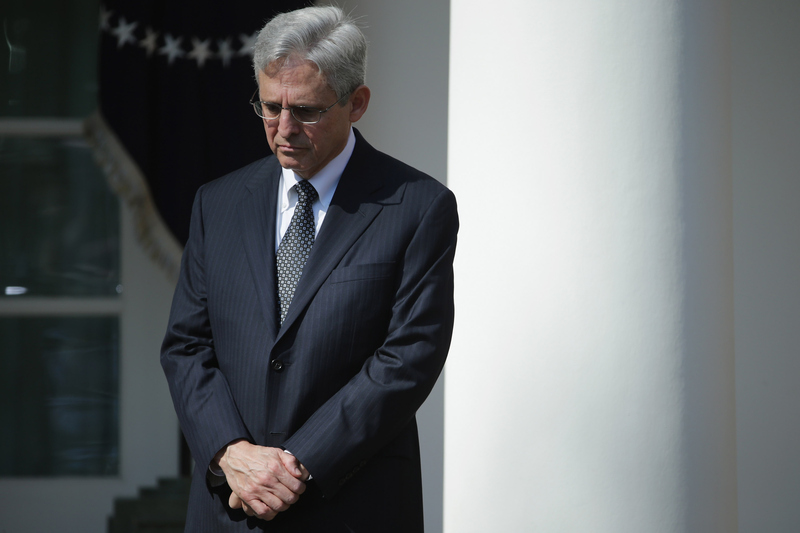 Garland may be generally regarded as a moderate and a justice who would seek objectivity in interpreting the law, but he could have some extreme views that Americans don't know about yet. Anyone who has garnered the support of conservatives in Congress is someone worth being wary of before giving a golden ticket to the SCOTUS bench. No, really. When Obama was on the search for a SCOTUS nominee in 2010, SCOTUSBlog's Tom Goldstein wrote, "to the extent that the President's goal is to select a nominee who will articulate a broad progressive vision for the law, Judge Garland would be a very unlikely candidate to take up that role." In the past, Garland chose to uphold an action by the FCC against a radio broadcast operator that served the gay community. He also voted that police officers who sprayed chemical deterrents on pro-gay protestors were not liable for misconduct. In the admittedly adorable video, Garland basically said rule of law in the United States works so wonderfully because citizens trust that the law will treat people fairly "without regard to politics, or religion, or race, or anything else." Technically, gender could fall into "anything else," but the category should have gotten a shout out of its own. Sorry, Garland. I know you didn't really have a say in this matter. Obama did, however, have a say on who he picked to put forth as the nominee, and boosting the number of women on the high court's bench wouldn't have been a bad thing.